As we get closer to the possible September 7 unveiling of Apple's new iPhones we're starting to see more and more rumors which are basically confirming information that's been leaked before. This time around,'industry sources' are saying that NAND flash vendors (including Samsung and SK Hynix) are raising their prices, citing increased "demand demand for new smartphones particularly the iPhone 7 featuring up to 256GB of storage", according to a report from Taiwan. This comes to confirm an earlier supposed leak of storage versions for the iPhone 7 family and their prices in China. It looks like this year Apple will go up to 256GB with the storage options - it's just not clear whether this will apply to the smaller iPhone 7 model too or only the bigger iPhone 7 Plus (which is also exclusively getting the much talked about dual camera arrangement on the back). 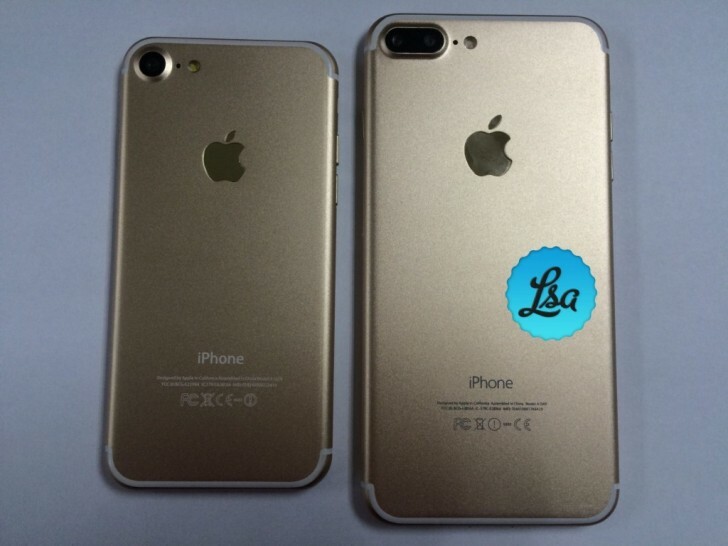 And speaking of the iPhone 7 range, a new rumor from Japan once again claims that there will be no Pro device, just the two you'd expect - an iPhone 7 and an iPhone 7 Plus. For a while there was some confusion as to whether Apple will call the bigger 5.5" model Pro or Plus, and after that some sources even claimed we'll see both versions on the market for a total of three iPhone 7 iterations. Now it seems that if that was ever an option in consideration at Apple, it got dropped. This mumbling also reiterates the fact that the two iPhone 7 handsets will have a capacitive Home button, the A10 chipset, and a "much improved" camera. Oh, and yes, the 3.5mm headset jack is gone.